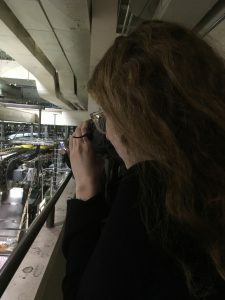 Brenlea Yamron, our server at “Nathan Detroit’s Deli,” was all too happy to tell us about her involvement with Operation Ezra, a Jewish resettlement project in Winnipeg, when she learned that we were in Winnipeg to learn about refugee resettlement. Juggling plates of eggs and cups of coffee, she gushed about her involvement as a member of an interfaith resettlement committee and the efforts to settle Yazidi refugees in Winnipeg. We came out of the conversation with a new contact and a potential new lead on a group to interview. 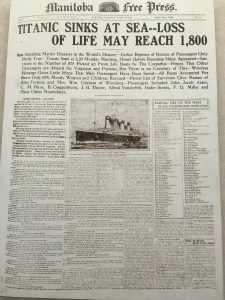 Brenlea’s display of hospitality very much played into our preexisting narrative of “Nice Canada,” or that of our northern neighbor that had opened its borders to refugees when the United States had taken a more hardline stance on immigration. “Canadians like to think of themselves as being too nice,” explained Bob Cox, the Publisher of the Winnipeg Free Press. Or, for that matter, reporters at the Aboriginal Peoples Television Network told us about the different First Nation groups that held welcoming ceremonies for incoming refugees. Later that evening, we shared some poutine with Red River College journalism students, who told us something to the same effect. But is Winnipeg truly that welcoming? I briefly left our breakfast meeting to find a bathroom, and on the way over, I made eye contact with a woman sitting on a bench. She set down her coffee and pastry and proceeded to walk over to me and shout, “All of you Asians just need to leave me alone. Now would you kindly just go away?” I replied that I was just looking for a bathroom and beat a hasty retreat. At least she was polite about asking all of the Asians to leave. Adding more light to the events of the day, after doing some Googling, we found that Operation Ezra had a more controversial past. 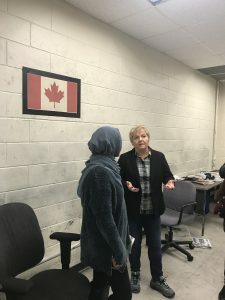 A May 26 Winnipeg Free Press article by Carol Sanders detailed the complaints filed by members of the Yazidi community about the way in which Operation Ezra had selected its refugees to be resettled. According to these Yazidi community members, the Jewish Federation of Winnipeg had not actually consulted the Yazidi community about resettling refugees or selecting families to be resettled. It’s unclear what future Operation Ezra has in Winnipeg, especially if it is going to be rejected by the very community it serves. My goal for our meetings tomorrow with different immigration officials is to get a better idea of how migrants are accepted in Winnipeg and other Canadian communities. 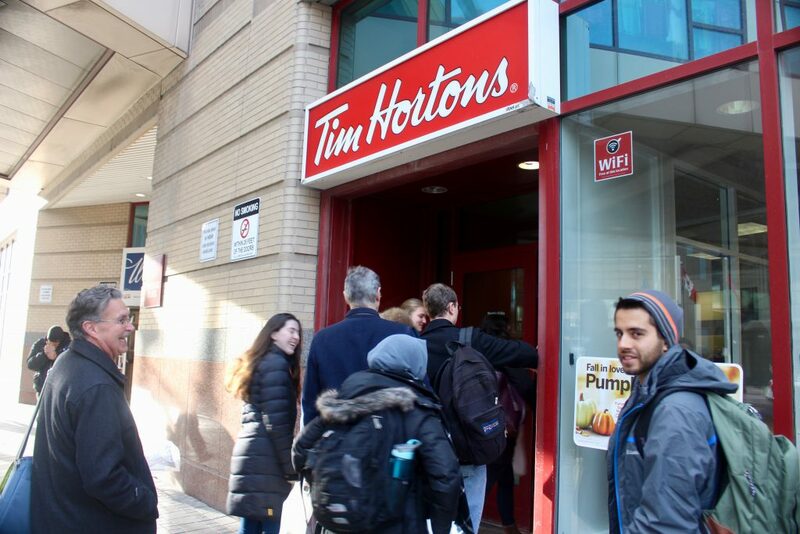 If “Nice Canada” is illusory, then what? 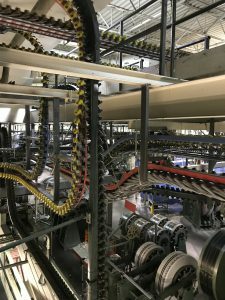 Print journalism might be fading, but Canadian pride isn’t. Canadians often compare themselves to Americans to feel better, especially since Trump took office. But this method of comparison isn’t new. 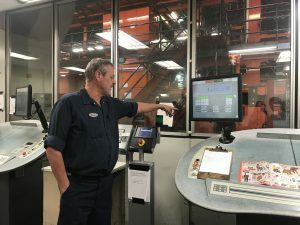 Bob Cox, publisher of the Winnipeg Free Press, gestured towards his spacious office on the first floor, separate from offices near the paper’s other departments, to show how the company has had to rent out the nicer offices upstairs to make up lost revenue due to a drop in subscriptions. Cox moved back to Winnipeg a few years ago, taking his second job at the Free Press. His wife thinks he’s a true Winnipegian. He doesn’t seem to object. Canadians like rules, Cox says, so they might be less accepting of asylum seekers who don’t come “legally.” Still, he says the attitude towards refugees is one of openness. “In return, we get the country we have,” Cox said. He means the diversity—and for immigrants, this means there is no one Canadian identity that they have to take up, unlike countries like Sweden, for example. This makes it easier for outsiders to “fit in.” But what they do have in common, what’s “fundamental” to Canadian history and identity, is that they are not American. 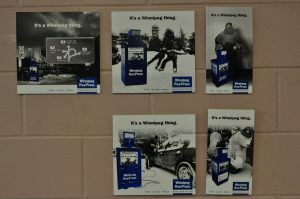 In the Winnipeg Free Press cafeteria, a series of posters titled “It’s a Winnipeg thing.” Could a non Canadian understand the references without help? I couldn’t. 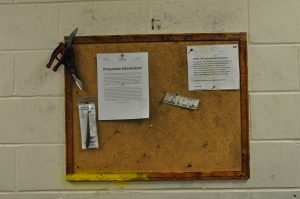 In the operation room of the Winnipeg Free Press printing room, a bulletin board with tools, rules, and a scribbled over cartoon strip. 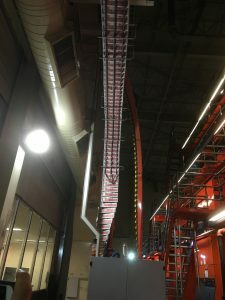 The circulation of paper is about 65,000 this year. Ten years ago, it was 130,000. 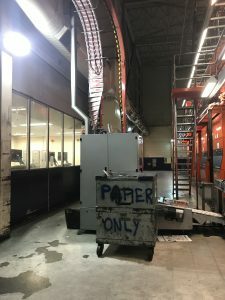 One worker says he thinks the paper is at the floor, but it could probably get lower. Now, the APTN is toying with the idea of starting a station in the U.S. The station’s coverage of Standing Rock was the most followed and viewed story by U.S. readers this year Pugliese said the station probably gained many long-term viewers after that story. Much of their audience is still indigenous; Winnipeg has the highest number of First Nations peoples in any major city in Canada. A sign on the wall of the APTN control room, above (not pictured) hang rows of comics featuring First Nations protagonists. As we stepped off the bus at APTN, Aboriginal Peoples Television Network, we noticed a man laying on a ledge about 2 feet up enclosing a walk way around the building. As we looked on he rolled off of the ledge and fell on his head. Unsure of how to proceed we moved into the building and alerted security so that they could alter the proper authorities and assist the man. As soon as we relayed this encounter to the folks at APTN they began to explain to us the legacy of the indigenous people. Winnipeg is home to the largest indigenous population in a major Canadian city, and this community faces problems similar that that of a stigmatized minority group in North America. There are clear parallels between Blacks in the United States and indigenous populations in Canada. These stigmatized and ghettoized groups faced similar levels of cultural and institutional barriers. Indigenous people in Canada and Blacks in the United States did not receive full voting rights until the 1960’s. These two populations also experience the stripping of their native culture and languages by the State. Today children of aboriginal Canadians are being reunified with their biological families, nearly 50 years after they were forcefully taken from their families and placed into foster homes or adopted into White homes. The “60’s scoop” (referring to the ‘scooping’ of children from their families) resulted in the loss of aboriginal children’s identity as well as mental, emotional, spiritual, and physical trauma. Today you can see high levels of socioeconomic inequality between white Canadian and aboriginal peoples in Canada. The indigenous population has suffered from higher drug usage rates, higher unemployment rates, and lower educational attainment than that of their white counterparts. This historically stigmatized and disenfranchised group has come up with creative solutions to make their voices and concerns known. APTN is one of those avenues. 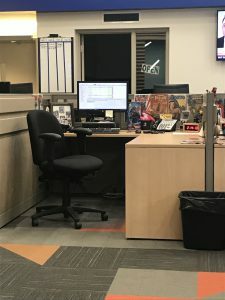 As Karyn Pugliese, the Executive Director of News and Current Affairs, stated, “we didn’t have a seat at the table, so we made our own.” APTN is now a successful and established voice of aboriginal peoples across the world. With partners in Austria, Denmark, Wales, Hawaii, and Taiwan, this network serves as a unifying voice of indigenous concerns. 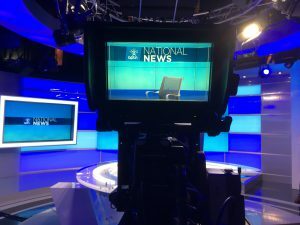 While APTN had some dissenting voices at its inception, voices that claimed there was no need for a channel focused on aboriginal peoples, there has been a relatively positive reception to the news organization both nationally and internationally. APTN was one of the first news organizations at Standing Rock in 2016, the site of a major confrontation between indigenous people and U.S. federal agents over an oil pipeline. APTN’s footage was picked up by major news organizations. 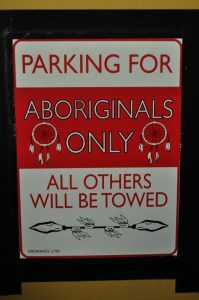 Are indigenous people the Blacks of Canada? They face similar social issues and historical legacies. However the reception to these groups’ claims of reparations has been highly divergent. While Canada (and Winnipeggers) have been receptive to the mobilization of indigenous groups and initiatives like APTN, Blacks in the United States have been labeled “reverse racists” when they try to advocate for a space to speak about b lack issues or have been shut down by claims that “slavery is in the past.” People will say, “yeah slavery sucked, but it no longer matters.” This could be due to the fact that indigenous people had legal documents asserting their sovereignty and designating the relationship between the Canadian government and themselves, while Blacks in the US were not afforded these same rights. So, is Canada so different from the US? I would say yes and no. There have been similar legacies of historically subjugated populations that are currently facing similar social and economic disparities, however the response to these two claims is divergent. Canada’s history of relations between First Nations peoples and Europeans is long and fraught, explains Ms. Pugliese, and First Nations populations continue to face greater difficulties than white Canadians. That background, she says, casts Canada’s enthusiastic embrace of struggling newcomers as slightly hypocritical from many of the country’s original inhabitants. But Bob Cox, publisher of the Winnipeg Free Press, says “Canadians like to think they’re too nice.” And this may explain why Canadians have mostly accepted the newcomers. Indigenous Canadians fall into three categories – First Nations, Inuit, or métis, with both First Nations and French ancestors – explains Sky Bridges, APTN’s Chief Operating Officer. First Nations peoples only received full voting rights in the 1960’s, he explains, and some people still reject their Canadian citizenship, seeking the creation of an independent state. Canada is currently holding hearings on the unresolved murder or disappearance of approximately 1600 indigenous women, an issue highlighted in APTN’s nightly newscast. Even the creation of APTN reflected the “ghettoization” of indigenous people, says Ms. Pugliese – “Back when we couldn’t get a seat at the table, we had to build our own table. Now, I don’t really want to go sit at somebody else’s table.” And Ms. Pugliese notes that the most recent government dramatically increased First Nations representation in the Canadian Parliament, to approximately 50 First Nations MP’s out of 338 seats. APTN is proud of its imposing circular table built for its board meetings, says Sky Bridges. He emphasized indigenous traditions of welcome to strangers or other races. 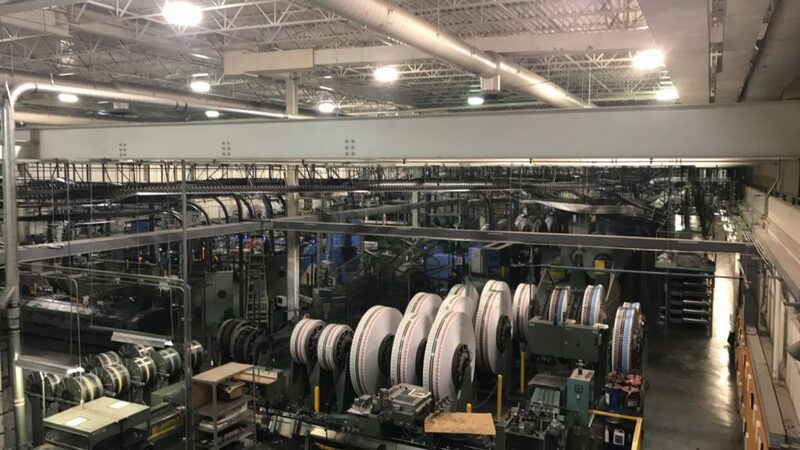 Many First Nations traditions, he says, include the symbolism of a wheel with four colors – white, black, yellow, and red – representing different races sent out into the world, as well as an aspiration to unify them. Ms. Pugliese also added that at least three indigenous communities have held welcoming ceremonies for refugees, and elders have helped to coordinate donations for them, though she notes that the ceremonies also helped to raise publicity about First Nations communities. This welcoming stance may also be influenced by the general identification of indigenous people with leftist parties, says Ms. Pugliese, partly because of a total lack of outreach or availability from Conservative politicians. Ultimately, the First Nations response to new refugees may not be very different from that of Winnipeggers in general. Assimilation in Canada is made easier, says Mr. Cox of the Free Press, because “we don’t have something called a Canadian that you have to become.” In some ways, he says, the “fundamental definition of a Canadian is to be not American.” At a moment of rising xenophobia in the US, that may be good news for anyone seeking asylum, and a new home, in Canada.